In its determination to enhance understanding of technical issues around the economy and financial system, the Central Bank of Nigeria (CBN) says it is collaborating with the National Judicial Institute to hold its maiden workshop for judges. The two-day workshop, focused on Secured Transaction in Movable Asset Act (STMA) and National Collateral Registry (NCR), opens in Abuja on Monday, February 11, 2019 at the the National Judicial Institute (NJI). A statement by the CBN says the workshop aims to acquaint judges with appropriate legal and regulatory framework of the STMA Act and its contribution to the national economy. Acting Chief Justice of Nigeria, Justice Ibrahim Tanko Muhammad and CBN Governor, Godwin Emefiele will make key remarks at the workshop, for which participants are drawn from the members of relevant committees at the National Assembly, Supreme Court Judges and Appeal Court Judges. 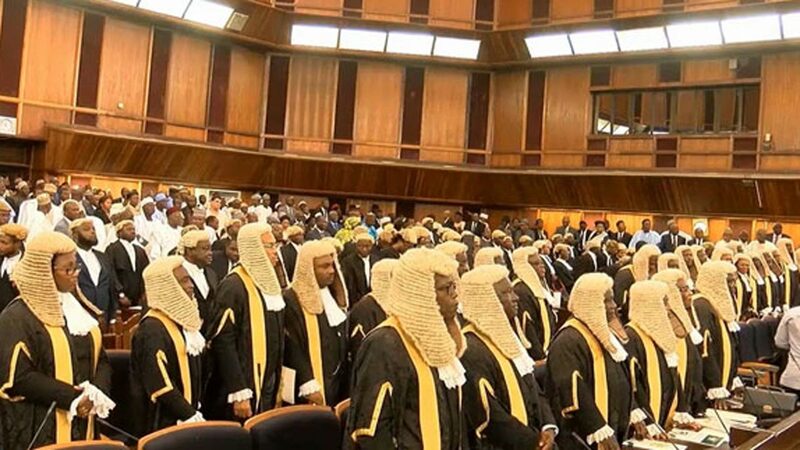 Others are judges of the Federal High Court, the Chief Judge of the Federal Capital Territory (FCT), State Chief Judges, key government officials, captains of industry, and officials of the World Bank/ International Finance Corporation (IFC). The statement recalled that the National Collateral Registry (NCR) CBN, established in 2016 in collaboration with the International Finance Corporation (IFC), as part of the apex bank’s mandate to sustain economic inclusive growth and financial inclusion. “The NCR is a financial infrastructure that seeks to deepen credit delivery to Micro Small and Medium Enterprises (MSMEs) through enhanced acceptability of movable assets such as equipment, machinery, vehicles, crops, livestock, account receivables, inventories, and jewelries,” the statement added.